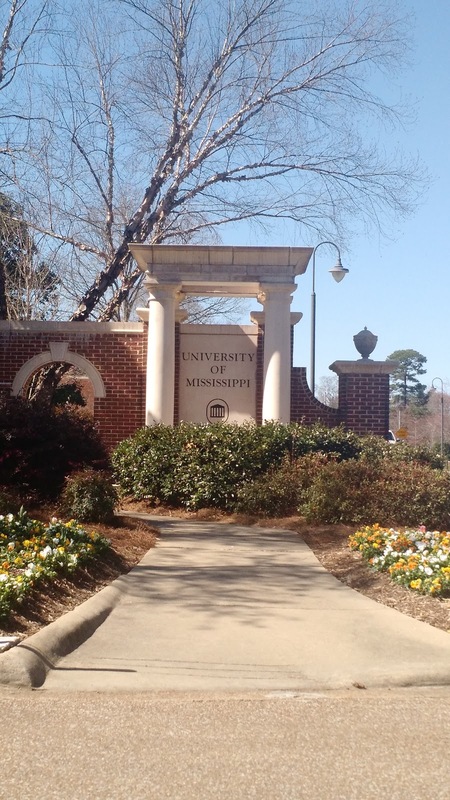 Nicole Riner, flutist: My trip to Northern Mississippi! Some of you know that I also keep another for-fun blog, DrinkFoodTravel, in addition to this flute-centric one. Sometimes those two worlds intersect, and it is a great privilege to travel so much for work, affording me opportunities to see new parts of the country, meet wonderful flutists, and of course, eat delicious food. Here's a run-down of some of my favorite stops on a recent trip I made to visit the flute studios at Delta State University, Mississippi State University, and University of Mississippi (Ole Miss). 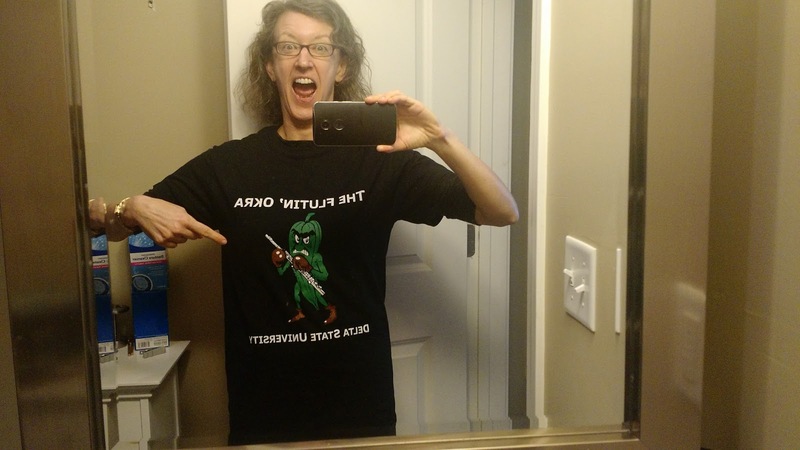 I also performed with some of my colleagues from Flute New Music Consortium at the inaugural Music by Women conference at Mississippi University for Women.Thank you to all of these hosting flute teachers for your generosity in letting me work with your students, and thanks Shelley Collins for the fab t-shirt (see below)! I didn't try the gourmet burgers, but the local craft beer menu was impressive. Not only beautiful inside, they will make coffee however you can imagine for it to be made. The pour-over was divine. Two tasty rolls for $6.95 for lunch? Yes please. Chewy crust and a plethora of toppings, this is a local favorite with several locations across northern MS. 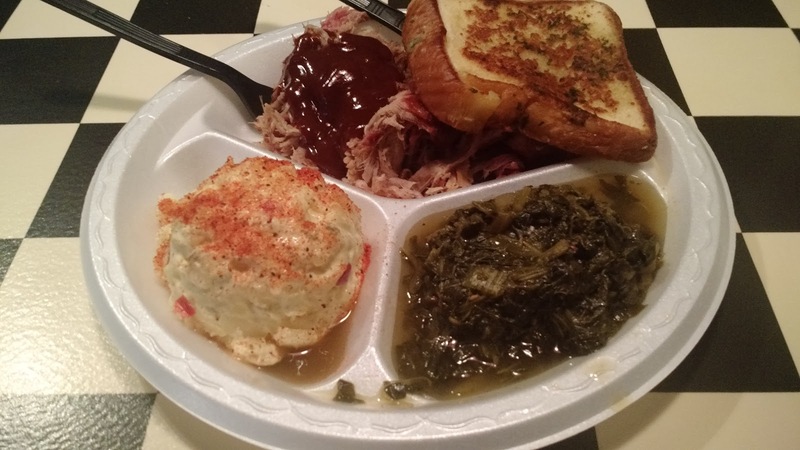 If you want a proper plate lunch, this is the real deal. Suggested by a local, I do not regret the gut-busting plate of spicy pork, potato salad, and turnip greens that kept me full for over 24 hours (see below). I can you now that the Cajun Pasta (very much like Crawfish Monica) was fantastic. Upscale Southern food with a varied bar. Mississippi State Committee of the National Museum for Women in the Arts Exhibition. Visit www.muw.edu/as/art/gallery for information on this and other W exhibits. Gallery hours are Monday - Friday, 8am-5pm. The exhibits are free and open to the public.